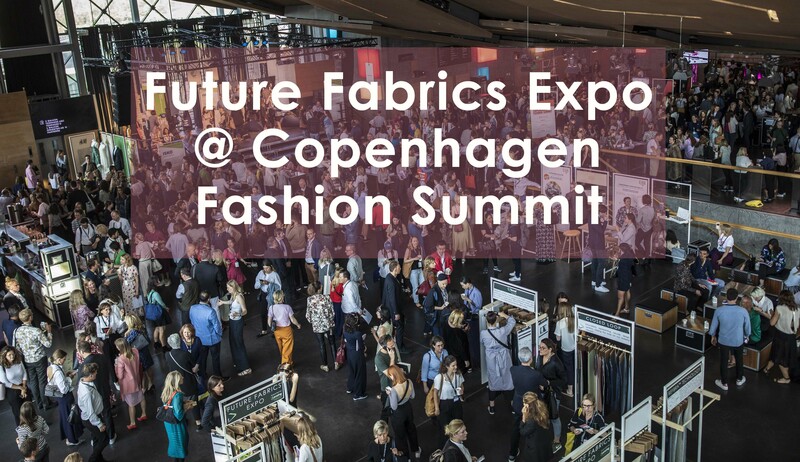 The Sustainable Angle presented an edited showcase of the Future Fabrics Expo at the innovation forum at the eighth annual Copenhagen Fashion Summit 2018, as a solutions provider for a Sustainable Material Mix, one of the fundamental priorities of the CEO agenda, below. This special edition was supported by the Lenzing Group. The summit is the leading business event on sustainability in fashion, which aims to mobilize the global fashion system to change its negative practices. The summit welcomed over 1300 visitors and participants to discuss sustainability challenges and progress within the industry. The Global Fashion Agenda counts many of the world’s top fashion brands as strategic partners, including Kering, H&M, Li and Fung, Target and the Sustainable Apparel Coalition. The knowledge partner for their publication, The Pulse Report is The Boston consulting Group. The theme this year was; Take it From Words to Action. European Commissioner Margrete Vestager gave an inspiring opening speech, emphasising that this summit is about actioning solutions. HRH Mary of Denmark spoke on the second day, and stressed that bold leadership is what is most needed in fashion to really accelerate the commitment of fashion to change. She said that this must include implementing broader actions; seeking out new solutions, disruptive business models and more innovations utilizing waste ingeniously, like Frumat and Pinatex for example, both shown in our Future Fabrics Expo. All stakeholders need to collaborate and work towards best practice, and for this to happen systemic change is needed. Calling for the elimination of virgin synthetic fibers, promoting circularity, transparency and traceability, reduction of CO2 and eliminating plastics in the oceans are urgent imperatives. Summit hosts Amber Valetta, actress, model and entrepreneur, and Tim Blanks from The Business of Fashion, introduced speakers from global brands, such as; Stella McCartney (CEO and designer Stella McCartney), Carry Somers and Orosla de Castro (Founders of Fashion Revolution), Clare Press (Sustainability editor-at-large Vogue Australia), Anna Gedda (Head of sustainability at H&M), David Fischer (Founder of Highsnobiety), Dio Kurazawa (Founder of The Bear Scouts), Mostafiz Uddin (Managing director, Denim Expert Ltd. and founder & CEO, Bangladesh Apparel Exchange), Nicolaj Reffstrup (CEO of Ganni), Pamela Batty (Vice President and Corporate Responsibility at Burberry), Paul van Zyl (CEO Maiyet), Panel discussion highlights were: The new textiles economy with Ellen Macarthur of the Ellen MacArthur foundation, Paul Dillinger of Levi Strauss co, Julie Wainwright of The Real Real and Cecilia Strömblad Brännsten, H&M group Environmental Sustainability manager, questioning: How can we bring the vision of a circular economy for fashion to life? Paul Dillinger was one of the only ones to mention the elephant in the room: if 6 out of 10 garments go into landfill, we have to ask ourselves: was it necessary to produce those 6 garments in excess in the first place? Great applause erupted from the audience! The “Pulse Of The Fashion Industry 2018” annual report, published by the Global Fashion Agenda and The Boston Consulting Group follows the strong belief that the environmental, social and ethical challenges the industry faces today are not only a threat, but also an immense, untapped opportunity for creative value. It states that there is a positive business case for sustainability in fashion. The mid-price segment of the industry has caught up the most in 2017. However, sustainability is still treated separately within Fashion Brands, and approached as an ‘add on’- this needs to be more integrated strategically at the core of practice. Embedding sustainable practices into the DNA of an existing brand represent true challenges. The smaller and newer brands may be at an advantage here, being more nimble and able to absorb switches in supply chain practices more quickly. The report is based on the brand module tool of the Sustainable Apparel Coalition´s Higg Index. Research from Nike’s MSI shows that materials matter the most: around 60% of the environmental impact of a product can be attributed to the materials from which it is made. Nike have a 100% renewable energy target, and doubling their business while halving the impact is the goal. Waste goes into Nike circular innovation processes. Where to integrate it is the challenge; currently 5bn PET bottles are reused by Nike, 24bn litres of H2O saved. They believe that ‘waste is gold’. However, the inherent contradiction of the summit’s message is that the relentless making and buying of fashion are in themselves part of the problem, and the Pulse report does not really address this. We produce 60 percent more clothing than we did 15 years ago, and 87 percent of it is rejected quickly, much of the value in these products going straight to landfil. William McDonough, author of ‘Cradle to Cradle’ points out that “being less bad is not the same as being good.” The importance of Block Chain Technology came up and several panellists agreed that this will lead to increased tracability and transparency which is what ultimately the customer wants to know: “people want to know where the stuff is from”. William McDonough emphasized the importance of the Precautionary Principle to be applied when it comes to new materials. This means that before these new materials are being released into the world, preventive action in the face of uncertainty has to be taken as well as shifting the burden of proof to the proponents of an activity. Exploring a wide range of alternatives to possibly harmful actions is very much at the forefront of this principle, and something that The Sustainable Angle supports wholeheartedly. The Youth Fashion Summit selected 112 young people from Universities around the world, representing 36 different nationalities. 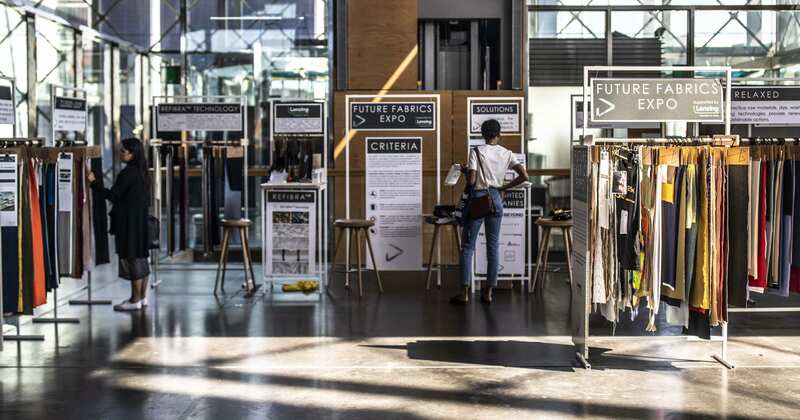 The Centre for Sustainable Fashion at London College of Fashion and KEA, Denmark create the program to immerse the students in imagining and envisioning what a future might look like if fashion were a force for good. This years event focused on two of the seventeen United Nations Sustainable Development goals No3; Health and Wellbeing, and No5; Gender equality. 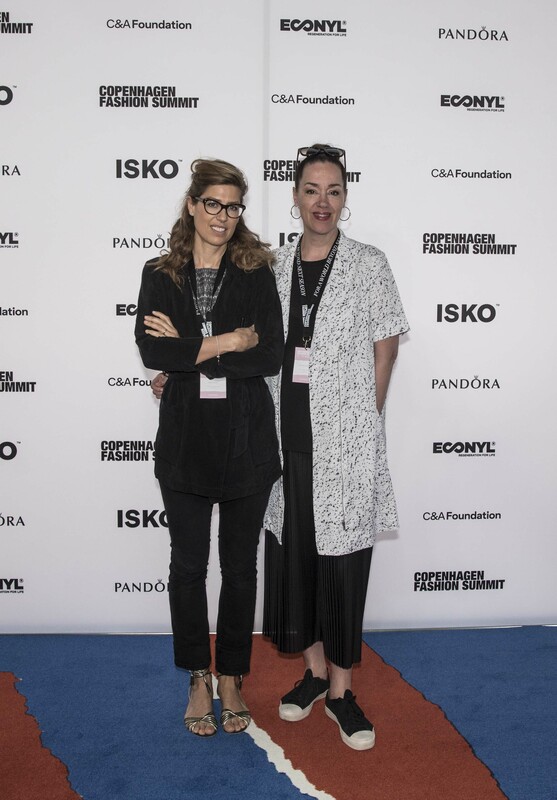 They delivered an impassioned address to the industry asking for the fashion community to change…..
Over three days we brainstormed a different type of future and questioned how those goals might be broken down to reach it. We drafted narratives around these futures, and summed them up with demands to the industry which we then trialled on industry representatives to truly assess their potential. At the end of the summit, we presented to the industry, summing up our findings and including eight demands that we believe the industry must fulfil to have a great long-term future. 1. We demand gender equality through partnerships for the implementation of culture-specific education with the aid of effective measurement systems starting at the corporate level. 2. We demand “truthenticity”: a society and an industry that respects differences, appreciates natural resources, ensures honest communication, and allows all individuals to unleash their creative selves. 3. We demand an end to exploitation and symbolic annihilation through the equal representation of all genders, extending beyond the corporate community and to the sphere of media and advertising. 4. We demand that CEOs prioritise gender equality in all business operations by putting people before profit and combining technology and education to empower women. 7. We demand the industry to take responsibility and collaborate with government and NGOs, through legislation and enforcement, to ensure the health and well-being of individuals. 8. We demand your participation in a “Glocalised” hybrid organisation. Through the systematic sharing of knowledge, we will foster traceability and circularity throughout the value chain, ensuring the health and well-being of natural and human resources. 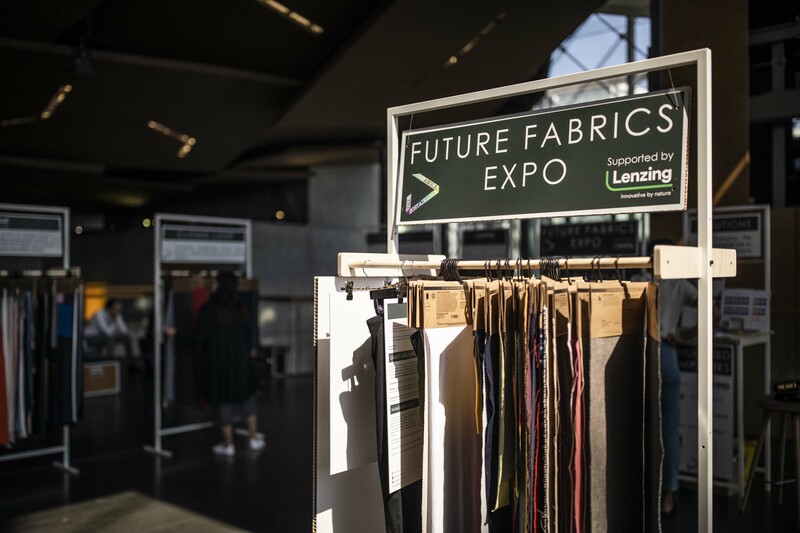 Building upon our Future Fabrics Expo showcase at last year’s Copenhagen Fashion Summit, it was exciting to be such a prominent part of the Grand Solutions section of the Innovations Forum this year, with the support of Lenzing Group. It provided the opportunity to spotlight and present a curated edit of our Future Fabrics Expo, consolidating our experience in providing a plethora of tactile, inspirational and commercially available textiles, materials, trims and sourcing solutions. We presented a range of globally sourced best practice traditional natural fibres, along with closed loop regenerated cellulosics, mechanically and chemically recycled natural and synthetic qualities. We were amongst the first organisations to showcase ingenious innovations created from waste, such as Orange Fibre, Frumat vegan leather substitute from apple waste, Pinatex from pinapple leaves, and responsible bio waste and recycled polyester sequins, recycled synthetics, also featuring toxin-free and natural dyeing processes and finishing technologies. The Future of fashion materials is here! See the textiles with a lower environmental footprint from around 150 suppliers in the Future Fabrics Expo @London Textile Fair, 18-19th July, as well as the 8th Future Fabrics Expo, 24-25th January 2019.